Phu Quoc is a Vietnamese island near the coast of Cambodia in the Gulf of Thailand. It’s known for its beaches, resorts, and market. The southwest coast of the island is built with resorts. More than half of the island is a national park. Duong Dong is the largest town, with day and night markets selling crafts, produce and fish. The island is developing really fast and hotels are popping up everywhere, which isn’t always a good thing. Make sure to get here soon! ? The White sand experience of Sao Beach. 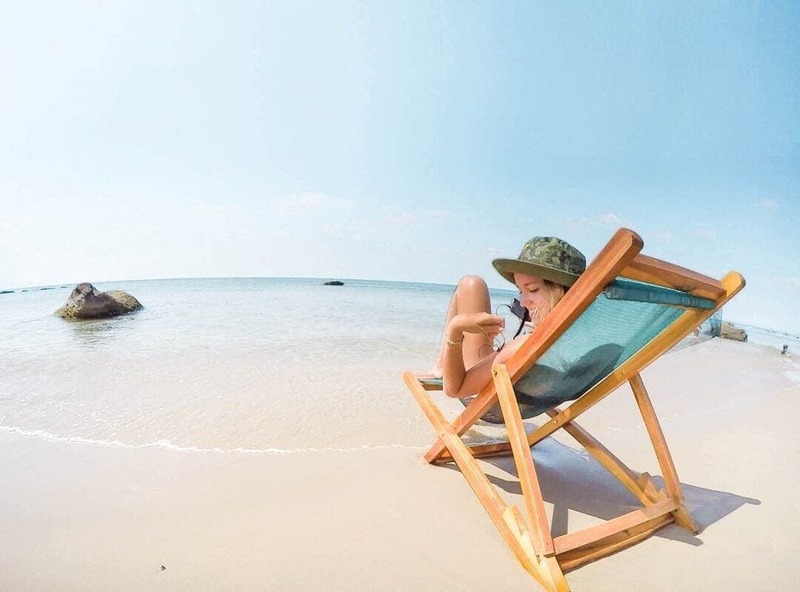 Praised as one of the best and lesser-known beaches in Vietnam. 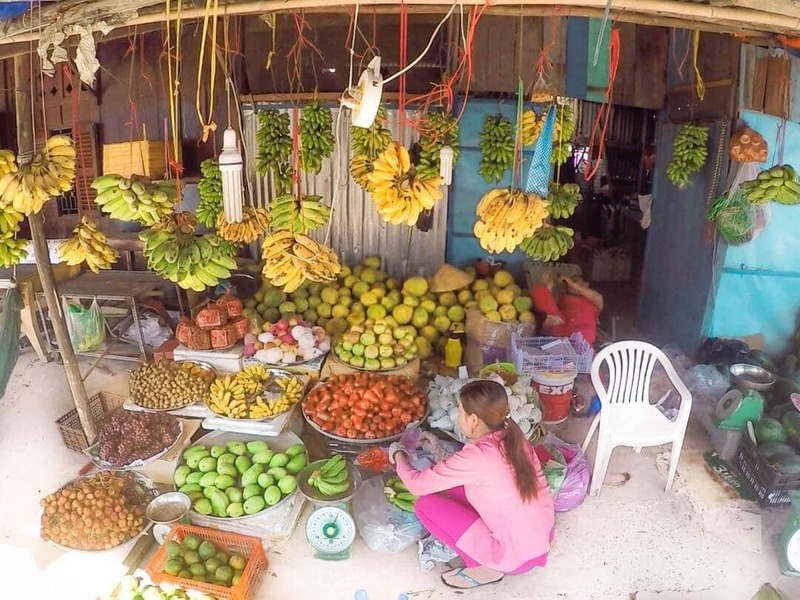 This place can’t be missed when visiting Phu Quoc. Enjoy fresh seafood right on the sand, swim or just laze the day away. Sao beach is a 45-minute motorbike ride from Duong Dong (town) so please grab an extra water bottle. The easiest way to get around is by motorbike. Although there are a lot of undeveloped roads you still can get around by using Google Maps. Hop from the beach to beach, viewpoint to viewpoint. Just take enough sunscreen and drinks with you! You can rent a motorbike from either your hotel or at a dedicated motorbike rental in town. An automatic motorbike should cost from $6 – $12 a day. The waterfall is located in the center of Phu Quoc Island, near the airport. Entrance fee is around $0,50.-. A small hike of 20 minutes will take you to the top of the waterfall. Make sure to get there early to avoid the crowd. Tip: Combine the waterfalls with Sao Beach to save time and energy. 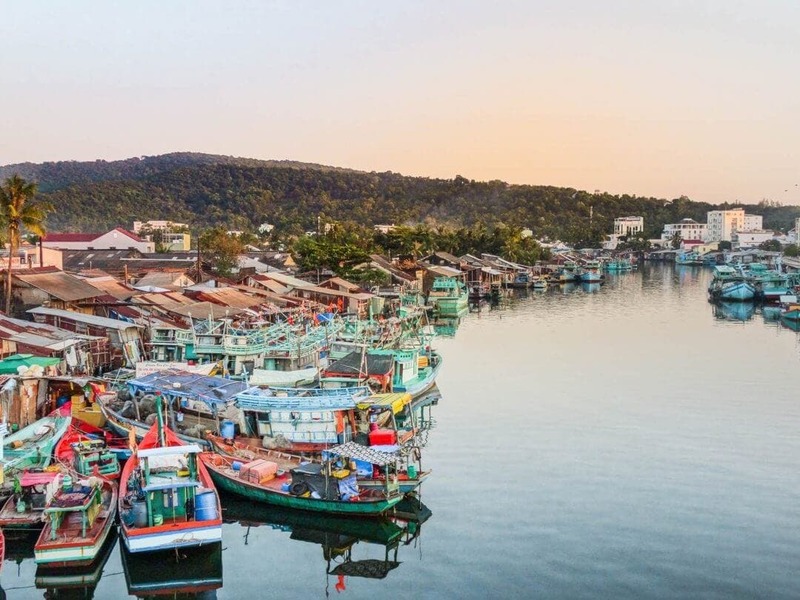 Did you know that Phu Quoc is famous for its pepper and fish sauce production? Fish sauce is their number one export product. Check out Nuoc Mam Hung Thanh, which is located near the market. The night market in Phu Quoc is the place to be when the sun has set. Get your dinner at the market and get a chop-chop ice cream afterward. ? It’s not the cheap place to get dinner on Phu Quoc but definitely a lively one. 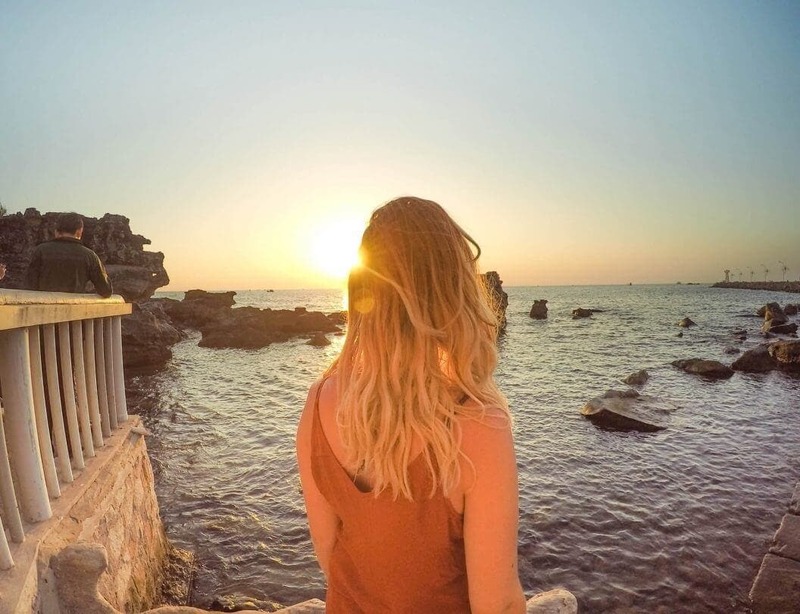 Look to the west for a beautiful sunset – Sit down on a beautiful stretch of white sand, anywhere along the west coast and get ready for one of the best sunsets in Vietnam. Rory’s beach club is one of the most popular beach clubs on Phu Quoc. Grab a cocktail, mocktail, beer or whatever and enjoy your time on Phu Quoc! It’s located at Long Beach which is just outside of Duong Dong (town). Phu Quoc has wet and dry seasons. From November till March, dRyan season temperatures will go from 25–28°C. 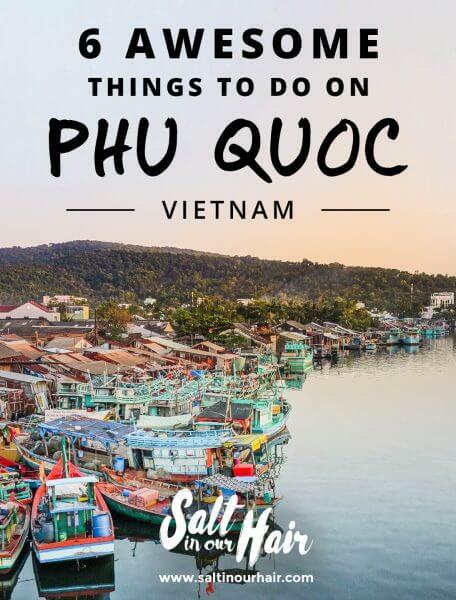 This is the best time to visit Phu Quoc. Hotels can get full quickly so try to plan ahead. From April to June and during October, conditions are good but temperatures can reach 35°C in April/May when humidity is high. If you like your holidays soggy, muddy and quiet, then monsoon season – July to September – it is. Made it to our last destination in Vietnam, still hidden in a shell. But tourism is coming ? The Phu Quoc airport is fairly new, opened in 2013. Tourism got a boost because of this. Fly directly from Ho Chi Minh City to Phu Quoc within one hour. The price of a single plane ticket should cost from $40 – $80. 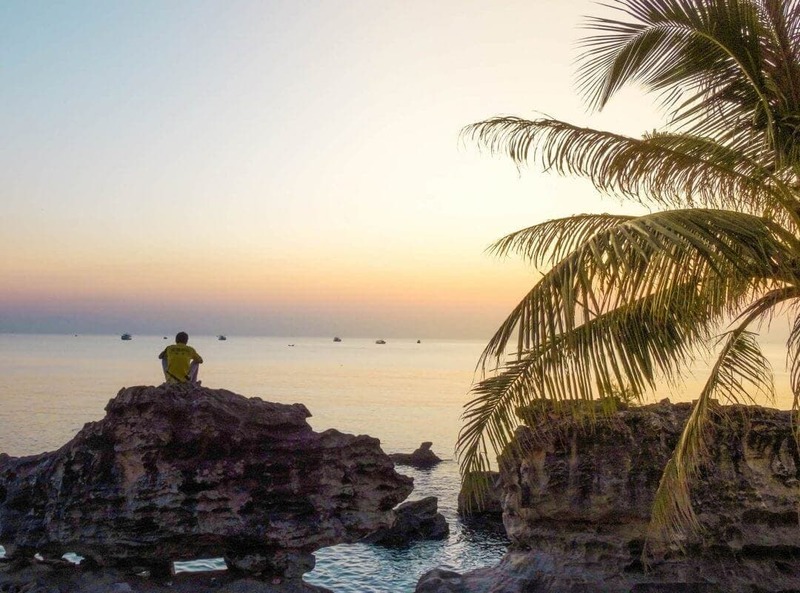 Phu Quoc in Vietnam is one of the few islands Vietnam owns. It’s not new to tourists but still not developed enough to say that it’s crowded. Check out all Phu Quoc hotels under $50 a night. Check out all the options on Phu Quoc under $50 a night. Located on the beautiful Northern part of Phu Quoc. Starting at $12 a night. Your own pool for just $15 a night! Located near the market. Apart from a low risk of acquiring Malaria from one of them, they’re mostly annoying as hell. But they will only come out in the early evening and morning, so you don’t need to use repellent during the day. Just don’t forget to put it on at about 5 pm, and you should be rather safe. Also watch out for the tons of insects in the air, when riding a bike between 5 and 7 pm.